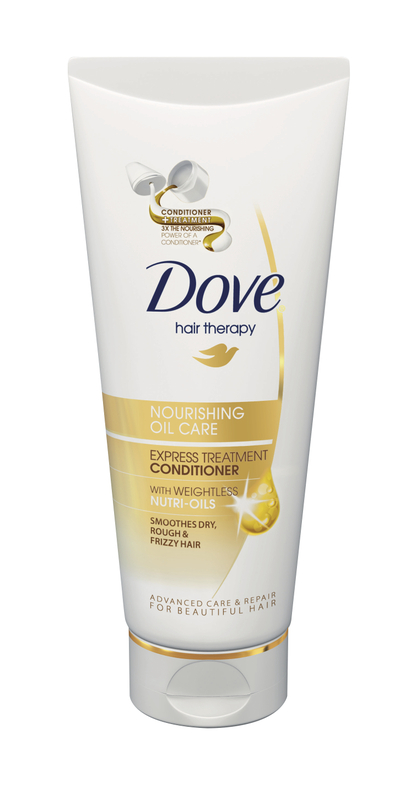 For those of you who don’t know me, I have (very) long hair, so when I heard about Dove’s new Nourishing Oil Express Conditioner I was very keen to give it a go. The truth is I loved it from the moment I squeezed it out of the tube and it looked like stripy ice cream: it smells fantastic and instantly detangles and smoothes the hair. The great thing about it is that it’s a conditioning treatment, but because of its Nutri-Oils formula you don’t need to wait 5 minutes or more for it to work. And at a RRP of £3.29 for 180ml it’s budget friendly too. This is a question I get asked a lot! It completely depends on your lifestyle – there’s no hard and fast rule. An average woman with highlighted hair who goes to the gym three times a week and commutes everyday would be looking at every other day with the use of a good dry shampoo in between (Klorane is amazing). Having a thorough consultation with your regular stylist to talk about which products work best for your hair type is 15 minutes well spent. How often should it be conditioned/intensely conditioned? If your hair is longer than a crop then condition it every time you wash it. It should be part of your routine. A hair mask once a week works but can be impractical, so perhaps look at an intensive overnight treatment instead (Kerastase Voile Nuit is super conditioning but light). In the UK the weather!! It can be sunny/cold/wet/humid all in the same week so your hair can go from being limp and lifeless to frizzy, fly-away and unruly. It’s at this point when it gets hard to manage texture, which is when most people resort to rough drying their hair (raising the cuticle – bad!) and then whizzing the flat irons through it! At the moment I have two: a good quality Brazilian blow dry and a can of dry shampoo. Whether you have your haircut every 4,6 or 8 weeks I think you should see your stylist every 6 weeks so that you can talk about your concerns, your hair care regime and –of course –the best way to move forward with your look. This entry was posted in Haircare. Bookmark the permalink.